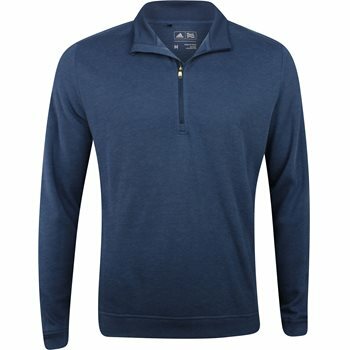 The Adidas Wool ¼ Zip pullover features Climawarm fabric that provides breathability and extreme warmth in cold weather. The pullover is made with polyester and wool that offers versatile comfort and stretch. The Wool ¼ Zip pullover is designed with a mock neck for additional warmth and a ¼ zip placket that can be zipped up for coverage or zipped down to show off an under garment.